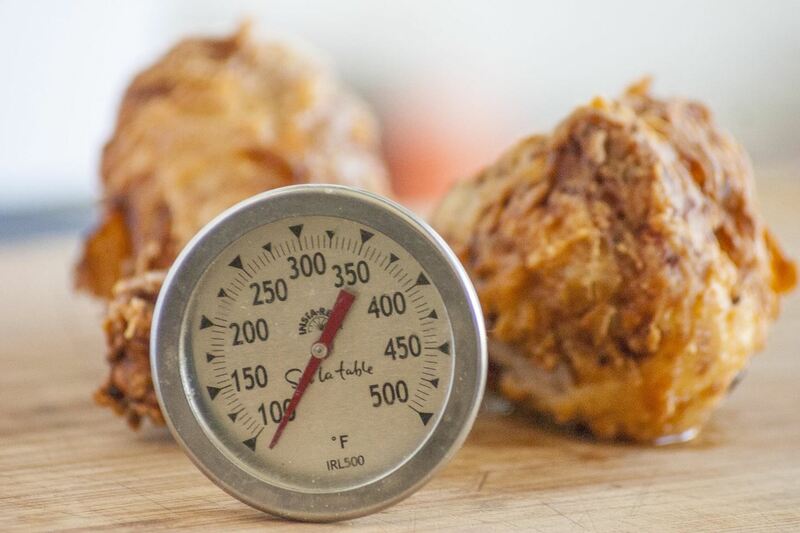 Everyone has their own reality, and in that same vein, everyone has their own guidelines for what makes the "perfect fried chicken." Now, I'm not saying that my version is the ultimate for everyone, but it's definitely a crowd pleaser in my experience. 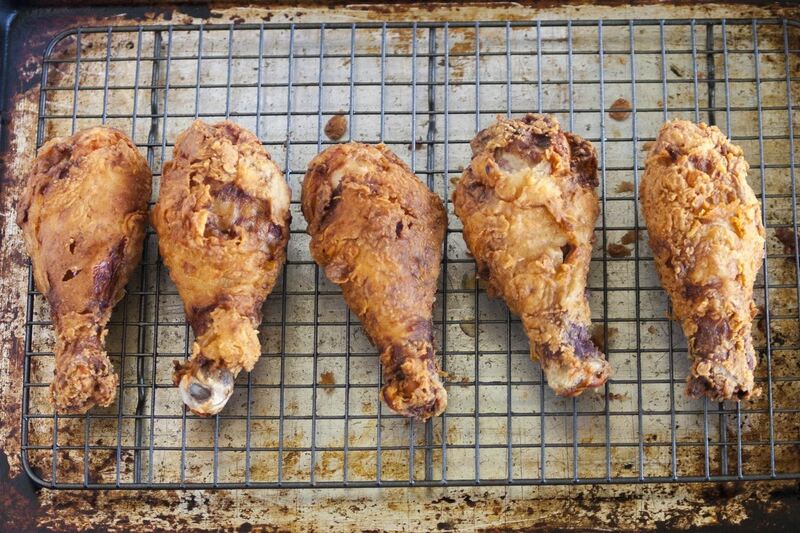 In my book, a perfect fried chicken is tender, juicy meat, a crisp, crunchy exterior, and lots of flavor. If that sounds right up your alley, then these five tips will produce chicken so succulent that you'll never go back to your old ways. You should always marinate your chicken for a few hours, preferably with buttermilk (but milk or water will work as well). The liquid should be salted heavily to create a brine: the optimal brine contains 6% salt, by weight, which equates to about 1 Tbsp. of fine salt, or 1.5 Tbsp. of kosher salt per cup of liquid. 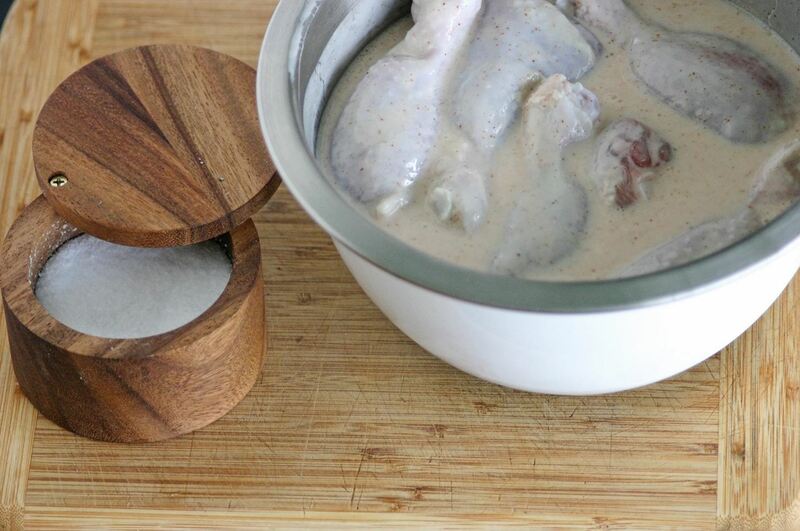 This salt mixture helps break down the chicken, which allows the marinade to permeate the meat. This means that your chicken will stay extra juicy after being cooked. Adding alcohol to your fried chicken marinade is an uncommon but extremely effective trick. Because most of the alcohol in booze cooks off immediately, it helps create a drier, crispier crust for your chicken (this is the same reason that alcohol makes for an extra-flaky pie crust). 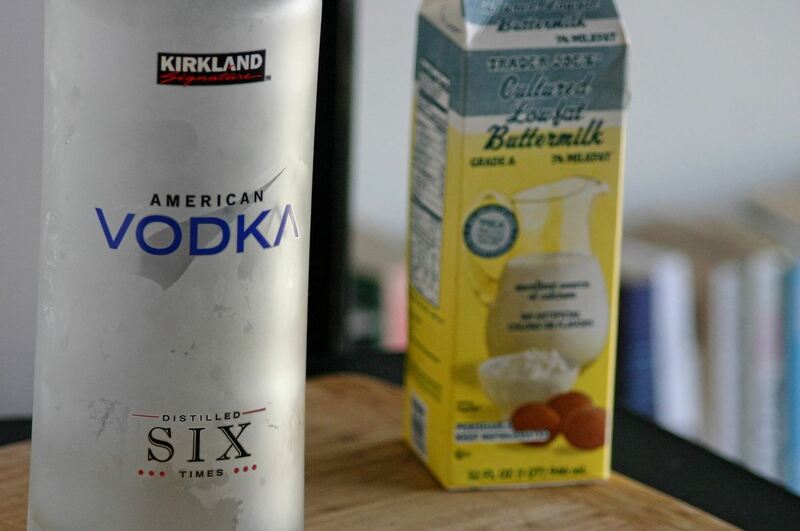 I usually add vodka to my marinade because it has a neutral flavor. However, if you want to incorporate some boozy flavor into your fried chicken, I recommend using bourbon. Just make sure not to use too much booze (1-2 Tbsp. per cup of liquid will suffice); after all, you're adding this to hot oil. Most fried chicken recipes tell you to dip your marinated chicken into your flour mixture, then immediately fry the pieces. If you do this, you'll probably notice a trend: the chicken that you dredge and cook last is a lot better than the chicken that you cooked first. There's a simple explanation to this phenomenon: as you dredge the chicken, liquid gets added to the flour mixture. 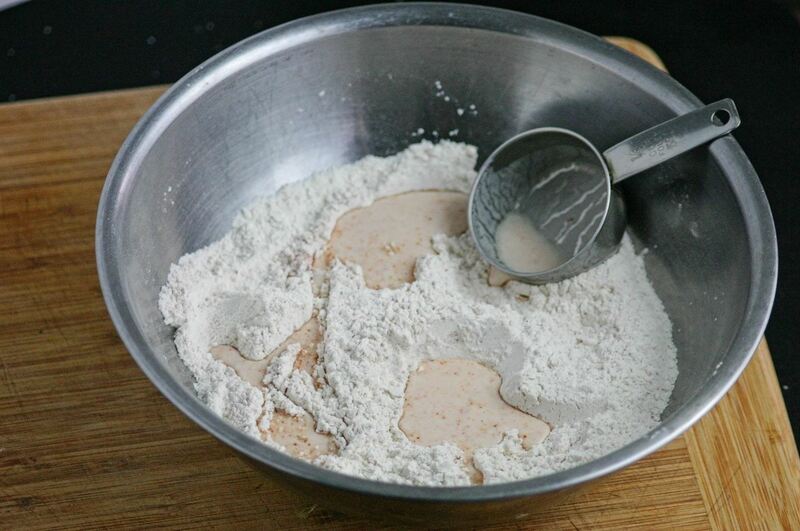 As the liquid is added, the flour mixture clumps, which results in a bumpy and rocky coating on the chicken. When fried, this uneven coating is extra crispy, because there are nooks and crannies of crispy goodness, as well as extra surface area. If you have a deep fryer, it's easy and mindless to keep the oil temperature constant. If you're frying the good old-fashioned way, however, it takes a little more effort. If your oil gets too hot, the crust on the chicken will burn; if it cools down too much, the crust will fall off or become soggy. To keep the oil at an optimal temperature, keep a thermometer in the pan at all times. Don't Miss: Deep Frying: Which Pan Is Best for the Job? When the oil cools down after you add the chicken, immediately crank up the heat on your stove. As the temperature approaches the desired heat, lower the stove setting again. If the temperature gets too high, don't wait for it to come back down; instead, add more cold oil to your pan. French fries aren't the only food that should be fried twice. Chicken should be, too: ideally, the crust of the chicken should cook longer than the inside of the chicken; this creates a crisp exterior but retains a juicy interior. If you fry the chicken until the crust is perfect, the inside will likely be dry. Instead, fry the chicken until the inside is perfectly cooked, then let it cool for 15-30 minutes. After the chicken has cooled, fry it again for a few minutes: this puts the finishing touches on the crust, and reheats the meat without cooking it further. These tips will go a long way in upping your fried chicken game—and none of them require much more work than what usual recipes call for. Let us know in the comments if you have any amazing tips or tricks that you swear by, and we may just add them to our list!